To get us moving and grooving in the morning we sometimes turn up the tunes before school. Our new favorite this week is "It's a Good Day," by Jaime Thietten on the album Love Along The Way . She performed the song last year at the Houston Women's Catholic Conference (which is coming up again) and it stuck with me. It will have you tapping your feet and smiling in no time. Which is perfect on those tough - let's get ready and get you to school without another tardy type of mornings.... Please tell me I'm not the only one that struggles getting my kids (or one specific kid really) out the door in the morning. Go grab it on iTunes or the whole album Love Along The Way on Amazon. You won't be sorry. While I'm on the subject of my almost tardy every day child, she said something really funny the other day. My phone was playing random songs (not on a playlist) and "Jesus Christ is Risen Today" (also recorded by Jaime Thietten although on a different album) started playing. The first lyrics to the song are, Jesus Christ is Risen Today, Alleluia. Our Triumphant Holy Day. Alleluia. Birdie listened to the words and said, "How is it triumphant if she is singing it so slowly?" Big smile from me! That is so my Birdie. I don't think I'll ever hear that song the same way again. It's mid-February and I'm already thinking about summer. So wrong, I know but VBS won't plan itself. Our Everest VBS starter kit from Our Sunday Visitor arrived this week. I also need to select a week for my kids to all go to The Pines Catholic Summer Camp in northeast Texas. This is will be their third year (Birdie's second) and they can't wait to go back. Do you help with VBS at your church? Let's swap tips! Also, if you don't know about The Pines, you must check it out!! I know pride is a sin, but I am one proud mom this week! My oldest served as cantor again at our parish 9 am Mass last Sunday. Only thirteen years old and she has the guts (and the voice) to sing by herself from the ambo in front of 700 people. Crazy!! Of course I took video and a few pictures during mass. I've posted the video over on our Of Sound Mind and Spirit Facebook page. Go check it out. On top of that, this week she joined the Track and Field team at middle school. What?? Her dad and I were stunned. She's never shown interest before in running, or even in playing any sport since she left soccer at 6 years old. This is the child who absolutely hates to try new things. When I picked her up from the first day of practice she was white as a sheet and whispered, "That was really hard." But she kept at it all week, pushing through the fatigue and soreness. Now she's looking forward to trying the hurdles next week??? Seeing her this week really brought tears to my eyes after the struggles she's had with anxiety over the last four years. But that's another blog post. 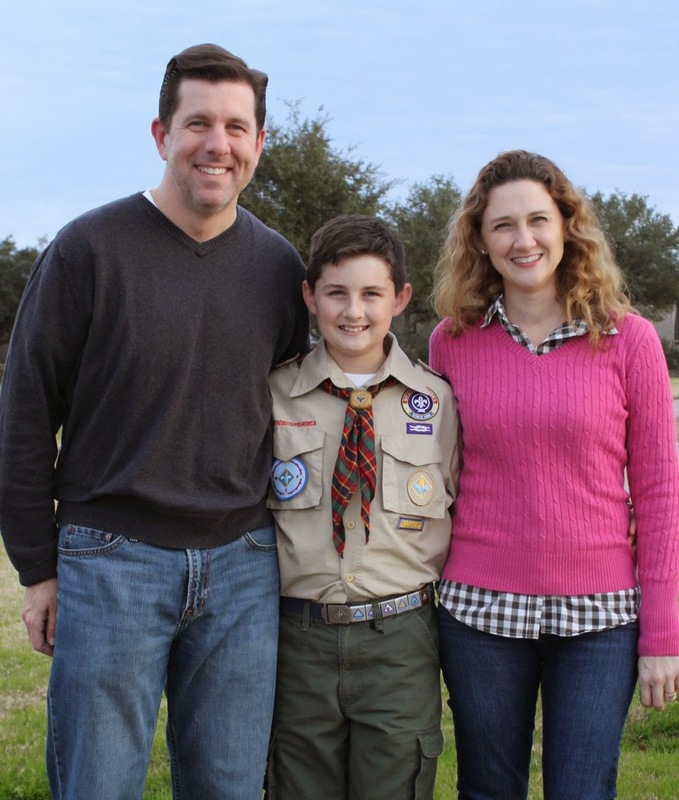 Not to leave my son out of this quick takes, Daniel celebrated his Arrow of Light (Cub Scout graduation) in January and is a new Boy Scout. This weekend he is off to his first Boy Scout campout without my husband or I going with him! There will be plenty of other parents going, so we really aren't nervous. It's just a sign of more things to come for him as he gets older. My family woke up this morning and was shocked to learn that I made them a Valentine's Day treat! I'm so excited about it I just have to share: Chocolate covered Valentine Twinkies on a stick! Oh Yes!!! It's Pinterest project - you can find it here.